Are we supposed to like the lead character? This was Sue’s first reaction to the episode. She absorbed it in complete silence, except for an early aside where she vaguely remembered who Dixon of Dock Green was. Me: Is that all you’ve got? Sue: I thought it would be a lot longer than that. Of all the opening gambits I could have expected – which ranged from a gushing, “Wow, I understand why you love this programme now!” to a rueful, “We missed The One Show for that?” – this wasn’t on my list. Me: So, what did you make of it? My wife sighed. 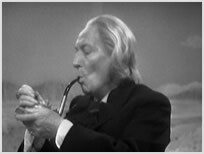 And then she told me she was shocked by William Hartnell’s curt, abrasive manner and she found it difficult to believe he was playing the same character as David Tennant and Matt Smith. 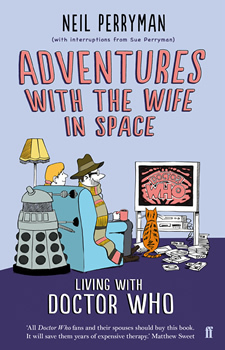 I didn’t dare tell her he was playing a much softer version of the Doctor who had evolved from an untransmitted pilot episode. Sue: He’s arrogant, snide, spiteful, and a little bit creepy. What captivated her was the backstory (or lack of it) to Susan and the Doctor’s predicament. She was especially intrigued by her namesake’s desire to stay on Earth – she didn’t understand why Susan wanted to hang around in 1963 when she had all of time and space to explore. And why did she bother going to school in the first place when her academic flashbacks made it look like she was having such a terrible time? This really bugged Sue. Sue: Is she really his granddaughter? Me: Er… Wait and see. 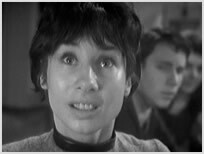 When I asked her to sum up her feelings for this landmark episode, she concluded it was sufficiently mysterious and different enough for her to appreciate why audiences in 1963 must have been dazzled and amazed by it. But now? Not so much. Sue: This is all about Susan, isn’t it? It’s her story. The Doctor doesn’t get a look in. He’s horrible. One episode down, several hundred to go. It was Sue who brought up the subject of our insane experiment the next day. Sue: Is it time for Doctor Who yet? She pretended to be vaguely annoyed by the prospect, but I could tell she wanted to find out what happened next. 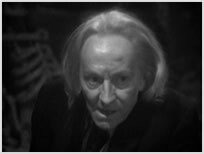 She was also a lot more vocal during the screening of this episode, and most of her commentary was directed at William Hartnell. Sue: He’s a smoker! You’d never get away with that today. 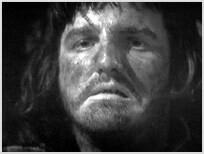 Imagine Matt Smith pulling out some Lambert and Butler. As the episode plays out, her agitation begins to increase exponentially. Sue: The Doctor really is useless, isn’t he? Look at him! He’s just lying there while everyone talks over him. When does he sit up and take control of the situation? She’s not impressed by the supporting artistes either, but at least she’s beginning to warm to the TARDIS crew. She’s particularly impressed by William Russell’s ability to deliver the now familiar “Doctor who?” gag with a straight face. Sue: It can’t compete with the first episode. There were too many scenes of cavemen bickering and not enough action. And the special effects were rubbish. Me: But there weren’t any special effects. Once again, it’s Sue who reminds us that it’s time for our daily dose of Doctor Who. I don’t know whether to be happy, suspicious or afraid – although it doesn’t take her long before she’s outraged by Hartnell’s brusque, selfish behaviour, which shows no signs of abating. In fact, when Barbara stumbles to the floor, the Doctor practically tramples her underfoot. Sue: What a ****! Are we supposed to like the lead character, Neil? Because the show is doing a terrible job if we’re supposed to root for this git. Barbara appears to be having a nervous breakdown, which is hardly surprising given what she’s been through. Sue: This is never a kids’ show! What time did this go out again? Sue: Bloody hell. That is ridiculous. Sue: They should have called the lead actor William Heartless. The violence continues to amaze her, and when Za smashes Kal’s head in with a boulder, Sue turns into Mary Whitehouse. Sue: I just don’t see how they got away with this. You assume that things must have been a lot tamer in the past, but this is brutal stuff, and completely inappropriate for its time slot. She’s also surprised (but in a good way) that the regulars want to leg it back to the TARDIS so they can leave the bickering tribes to their own devices. However, she’s increasingly annoyed at how quickly and easily Susan has gone from being an enigmatic protagonist to a whimpering child. She isn’t impressed by the claustrophobic feel to the programme, either, even when I explain to her they’re working in the most inappropriate television studio imaginable. Sue: This looks pretty cheap by today’s standards, but I can see how it must have seemed acceptable back then. If you squint at it. When our heroes make it back to the TARDIS, my wife is relieved that this particular adventure has finally come to an end. Sue: Look at the state of them! What a mess. I’m amazed that no one seems to be very heroic in this thing so far. I can’t tell who we’re supposed to root for from one moment to the next. And there was too much grunting! When the ship’s radiation meter jumps into the red/darker shade of grey, Sue lets out a tiny, “Oooh”. Either she’s humouring me or she genuinely wants to know what happens next. Sue: Three out of 10. I think I may have face-palmed. Sue: Is that too harsh? Is there worse to come? Join us next time when we’ll… Actually, don’t tell her. I don’t want to spoil the surprise.